O'Neill Development is a construction, remodeling and development firm that has been active in Maryland, Virginia and Washington D.C. since 1975. The company undertakes a broad spectrum of jobs from new and remodeled residential to land development, institutional, commercial and historic restoration. New residential construction includes reproductions of historic houses, adaptations of period and geographic styles, copies of European classics, and modern adaptations of traditional styles. O'Neill has developed a number of small subdivisions each with a different architectural theme. Residential remodeling work ranges from enhancing exterior architectural detail to "whole house" rehabilitation, including roof raising and house "moving." O'Neill has also done extensive historic restoration work. For quality, unparalleled features, craftsmanship and style, Potomac Heritage Homes has what you desire. With access to the best locations and communities we have become the name to know in Montgomery County's most exclusive areas. Potomac Heritage Homes did not become the most visible developer and builder in Montgomery County’s best neighborhoods by accident. Since the early 1990s we have time and again been the first to recognize opportunities and translate them into Potomac’s most distinctive homesites and communities. Even today, with the area’s coveted locations becoming hard to find, we insist on the best, developing each masterpiece where your surroundings truly make you feel at home. Building on a foundation of excellence for over 30 years in the home building industry, we have put our trust into a close family of architects, subcontractors and craftspeople that share our dedication to quality and exceptional customer care. You can have confidence in a team that has adopted our commitment as their own and who best reflects the values and visions of Potomac Heritage Homes. Voted Best Builder:Top Vote Getter for Best of Bethesda 2013, 2015, and 2016 in Bethesda Magazine! Edgemoor Custom Builders is an established and award winning custom home builder based in downtown Bethesda, Maryland serving Montgomery County and the greater Washington DC metro area. Dedicated to quality design and sound building practices, we create well-crafted homes, luxury renovations and seamless additions that reflect our client’s lifestyle. By ensuring that we listen carefully to our client’s needs, we not only meet them but provide inspired solutions and elements to their own vision, thus creating a home that exceeds their highest expectations. We know that your home is not just a place of shelter, it’s who you are. For Silver Spring residential home builders who also act as developers, the job starts well before the first nail is driven. They perform local market research to determine whether the prospective homesites make sense in the Silver Spring, MD market, as well as survey the land on which the house will be built to make sure it is suitable for construction. Custom builders also obtain the necessary permits. A good custom home builder in Silver Spring, MD has skills that go far beyond construction — he or she must supervise subcontractors and artisans; keep tabs on local zoning regulations, building codes and other legalities; inspect work for problems along the way; and perform dozens of other roles that are essential in building a quality house. Here are some related professionals and vendors to complement the work of home builders: Interior Designers & Decorators, Landscape Architects & Landscape Designers, Architects & Building Designers, Kitchen & Bath Designers, Specialty Contractors. House builders are responsible for ensuring that the home-building project sticks as closely as possible to the specified timetable, particularly in the event of change orders. 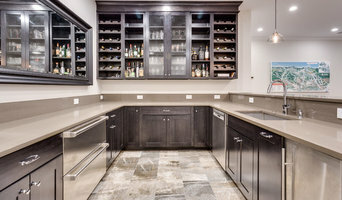 Custom and luxury home builders in Silver Spring, MD also need interpersonal skills to deal with clients of all types, soothe frazzled nerves, negotiate conflicts and resolve problems. 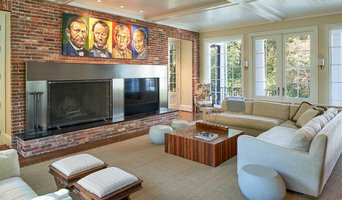 Find custom home builders in Silver Spring, MD on Houzz. Narrow your search in the Professionals section of the website to Silver Spring, MD home builders. You can also look through Silver Spring, MD photos to find a house you like, then contact the builder who worked on it.